From the things you need to start investing, to choosing the best cryptocurrencies and making the right exit strategies, here is a comprehensive guide to investing in cryptocurrencies. The debate regarding whether the current cryptocurrency trading craze is a bubble or not is a debate that is seeing no end. But the reality is, many people are actually investing in cryptocurrencies and seem to be making money out of it. This brings us to the question: Should you invest in cryptocurrencies or sit this one out? That decision is for you to make. But if you wish to make the investment, here is a handy guide for you. But please know that the content provided here is meant for general information and shouldn’t be taken as professional advice. If you wish to invest in cryptocurrency, go into it with the knowledge that you may end up losing a lot. Because at this point, no one knows whether the crypto-craze that has swept the world is just a passing fad or not. Ideally, you should set aside to invest in cryptocurrency whatever money that could afford to lose. Take whatever amount you’re fine with, and leave it in for a few months to see if it make gains. First of all, you are going to need a digital account if you need to hold cryptocurrency. A digital account could be an exchange or a wallet. Either way, it would have two key features: a public key and a private key. These keys are what helps ensure that your cryptocurrency holdings are kept securely in the digital system. The public key is very much similar to a typical bank account number. You could share this with others so that they could transfer the money to you. In other words, the public key is used to receive the money that’s deposited to an account. The private key, on the other hand, is linked to the public key for the same account and helps authenticate a crypto transaction. So, now that you know about private and public keys, let’s take a closer look at wallets and exchanges. To store your cryptocurrencies, you are going to need a wallet. The most common options include paper-wallet, hardware wallet and digital wallet. Paper-wallet is one in which you actually print your keys on a piece of paper and keep it safe. bitaddress.com is a good option in this regard. Hardware wallet is a removable drive. Though expensive, it’s said to be the most secure method for storing cryptocurrencies. To buy one, you could approach an authorized reseller like Etherbit. Digital wallet refers to any program that runs as a mobile or desktop app to help you store the cryptocurrencies. BuyUcoin is an example of this. BuyUcoin also provides you with an Exchange (see next section). The exchange is where you buy and sell cryptocurrencies, synonymous with the stock exchange for commodities trading. We have listed the best exchanges available in India further down below. THE RISKS INVOLVED Bitcoin is the most popular and among the highest trading cryptocurrencies around. So you may wish to choose that as an investment option. But before doing that be warned that the Indian government has issued a warning that says investment in Bitcoins is very risky. So if one day the government makes buying and trading in cryptocurrencies illegal, whatever investment you have made in cryptocurrencies by that time would be as nothing. 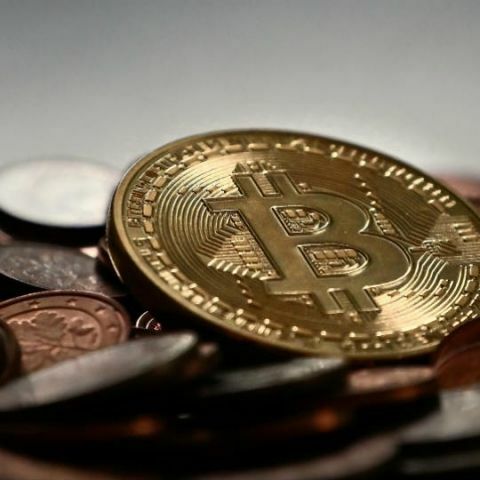 As of now, there are no official rulings regarding the taxation of cryptocurrencies including Bitcoin in India. This means that while filing your income tax report, the income from cryptocurrencies should be added as “income from other sources.” The tax slab for this category would be applicable to the income you earned from the investment. This also means that the profits from cryptocurrencies are not capital gains. Put another way, regardless of whether you redeem or not, even the notional profits would have to be shown as income. Also, you should pay the tax for the same every financial year. WHERE TO BUY CRYPTOCURRENCIES IN INDIA? In India, about eleven trading platforms exist from where you could buy Bitcoins and other- cryptocurrencies. These include Zebpay, Coinsecure, LocalBitcoins, Bitcoin ATMs and Coinmama and Koinex. Among them, Koinex and Zebpay seem to be getting pretty good reviews and feedback on social media. While Zebpay is only available as a mobile app, Koinex has a desktop version as well. Comparing the two, the Bitcoin buying price in INR versus the selling price is found to be not much different. To give you an idea of how to buy cryptocurrencies, we are going to use Koinex as an example, to buy Bitcoins. But this is in no way meant as an endorsement (or otherwise) of those products. The general idea remains the same, regardless of the platform. 1. To sign up on Koinex, you would need the following: Aadhaar card-copies of both the front and back panels, PAN card and bank passbook. While signing up, you may encounter referral links that are posted online by people who promise a welcome gift – usually some small amount of cash in Indian rupees. You should avoid these links. Some of them could be scams. 2. Once you have given your details for signing up, wait until the KYC gets verified. 3. After the accounts gets verified, you could transfer the money into the wallet from the approved bank account. This can be done either via NEFT or through online transfer. This may incur a small fee. 4. It’s now time to buy the cryptocurrency of your liking. 5. And that’s it. You could log out now. You could log in again after a while – say, a month or so – to check how the currency you bought is trading. Yes, there are some, like these. 1. There exists scant regulation for trading in cryptocurrencies. All the associated risks that this scenario brings are yours to bear. 2. The differences in the buying and the selling prices could be huge. In the event that they are the same, they would still be significantly higher compared with the price that a Google search for “Bitcoin in Indian Rupees” would fetch you. This obviously is a disadvantage. But to circumvent this, your only option is to convert Indian Rupees into American dollars and sign up at a foreign exchange. 3. To begin with, the buying-selling traffic for cryptocurrencies, including Bitcoins is low. Currently, the trading volume of Bitcoin in India is in the Rs 200 to 250 Cr range every month. This means that the time for you to make an exit with a profit might not be in the near future, if it comes at all. 4. Disruptions in payments and redemptions, and even the trading itself are not that uncommon with cryptocurrencies. 6. The security of trading platforms might be questionable. Hacking is a potential threat which could see you losing your investment. With cryptocurrencies, rather than doing day trading, indulging in smarter buying and selling at the appropriate times would be more beneficial. This means that it’s a good idea to make even small profits by selling at the right times rather than holding onto a cryptocurrency in the hope that you may one day make millions with it. Since cryptocurrency investments are subject to the time value of currency, it could trade for years around the same price range without giving you any major returns. So, making as much profit out of it – even if it means profits in little chunks – makes sense. Aside from Bitcoin, some of the cryptocurrencies that have gained traction with users are Litecoin, Ethereum Ripple and Dash. These might be worth considering especially given how the prices of many of these cryptocurrencies have risen in sync with that of Bitcoins. For comparison, a Bitcoin is worth around Rs 9 Lakh. But you could buy even fractions of a Bitcoin, for as low as Rs 1,000. Bitcoins could be fragmented way more number of times compared to fiat currencies, to make it easy for you to buy. This principle holds true for many other cryptocurrencies as well. And that’s it for your guide to investing into cryptocurrencies. Here’s to a safe and profitable investment journey! And if you make a buck and have a party, don’t forget to invite us! i wnt to but a complete performer phone under 28000?